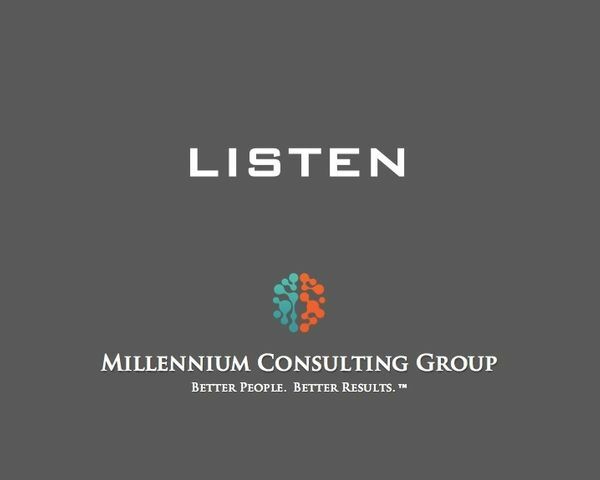 Listen - Everybody Talks About The Importance Of Being A Great Listener So Why Are We So Bad At It? One of the most effective ways to connect with and influence people is to ask a question, shut up and listen. Unfortunately, we live in the age of talkers. The art of listening seems to be on it's way to becoming more of a lost art. Top-performers seem to listen better than the rest of us and, in fact, they seem to prefer listening over talking. Being a great listener can be very scientific. There are behavioral patterns and there can be a process. In this talk we present a strategy for asking great questions with the idea of shutting up and listening to what is being said as the goal. More importantly, we demonstrate how asking questions and follow-up questions is actually the best form of listening there is. Is technology and a pampering society killing listening?